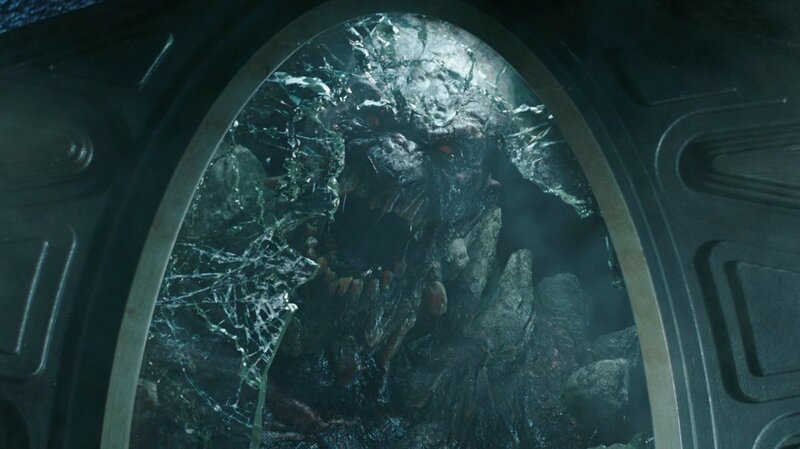 Returning for a second season in 2019, Syfy’s Krypton depicted in its first season the arrival of Brainiac (Blake Ritson) to the eponymous planet and how General Zod (Colin Salmon) traveled back in time to stop the bottling of the city of Kandor (which, in the confines of the show, ultimately led to the destruction of the world) and conquered his homeworld for himself. Seg-El (Cameron Cuffe), Superman’s grandfather in Krypton (based loosely on Seyg-El), fought alongside his secret lover Lyta-Zod (Georgina Campbell), his betrothed Nyssa-Vex (Wallis Day), and his best friend Kem (Rasmus Hardiker) with General Zod (Seg and Lyta’s illegitimate son) to stop Brainiac as a time-traveling Adam Strange (Shaun Sipos) tried to stop Zod to ensure Superman’s future. With Strange’s failure, history was changed with Superman being recognized as part of the House of Zod, Seg and Brainiac trapped in the Phantom Zone, Zod conquering Krypton with plans to expand its empire as his mother stands by his side, Earth was conquered by Zod, Doomsday is freed from his imprisonment, and the only resistance remaining to stop Zod is Nyssa, Black Zero terrorist leader Jax-Ur (Hannah Waddingham), Seg’s grandfather and former Phantom Zone prisoner Val-El (Ian McElhinney), and maybe Lyta’s mortally wounded mother Jayna-Zod (Ann Ogbomo). At San Diego Comic-Con International, some details of the show’s second season were announced including a time jump of several months, visits to the Phantom Zone and Brainiac’s homeworld Colu, learning more about Adam (which likely means Sardath and his daughter Alanna), and new characters coming to the show. Lets take a look at who has been announced thus far.